Ice allows you to make amazing beverages and snacks, especially when you have a party. There is something about frozen drinks that keeps the fun going. So, if you get a poor quality ice making machine, your party is bound to be a disappointment. Why don't you keep your friends coming over by buying the best ice maker in the market? This article features the top 5 best portable ice maker machines worth considering. We will also give you some tips on how to best utilize your little party-saver! How does an ice maker work? 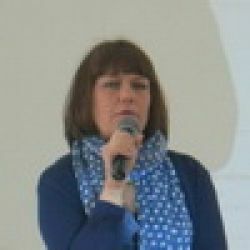 What are the types and their differences? When using an ice maker, you should pour water into the reservoir and turn it on for ice making. Some machines are automatic, implying that they will alert you when you need to add water or remove the ice cubes. Commercial ice makers - These are used in business places like restaurants, hotels, hospitals, schools etc. They make about 1,000 lbs of ice in a day. Built-in ice makers - These are not freestanding and need to be installed somewhere. They can be used indoors or outdoors. They are ideal for ice chewing fanatics that need an ice supply every minute. 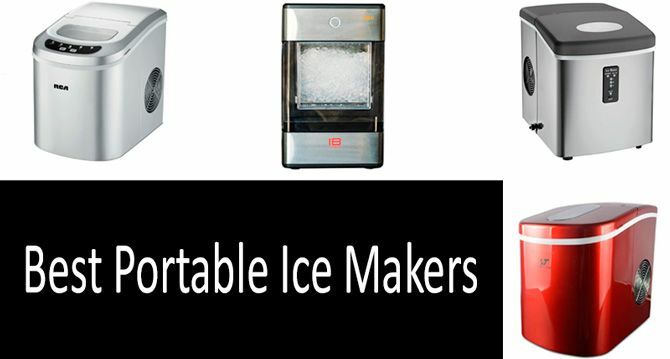 Portable ice makers - These are featured below. They are usually countertop and freestanding. This might be the best countertop ice maker you will come across in the market. It will make 26 lbs of ice in 24 hours, and each round of ice cube production will last about 6 minutes. It is electric powered and comes with an ice scoop for ease of use. It also features an ice storage unit with a capacity of 1.5 lbs. It is available in gray, ensuring that it goes with other kitchen appliances and themes. It incorporates the latest refrigeration technology and produces 9-piece batches of perfect bullet-shaped ice in 8 to 12 hours. It has a quiet compressor cooling system that makes it ideal for indoor use. It is compact, so it doesn't take up too much space on the kitchen counter. Ice cube production is fast as it takes about 6 to 8 minutes. If the ice cubes are not removed immediately they are ready, they may begin to melt. This is the right ice maker for you if you are looking to create a luxurious style in your kitchen. It is available in four colors: white, black, red, and silver. Its design includes electronic LED controls for easy operation. It operates at 120 volts and produces 26 lbs of ice cubes every day. You have the option of making large or small ice cubes with the ice being ready in just 6 minutes. It will store up to 1.5 lbs of ice each round. It comes with a 2.3 Quart reservoir for ice making efficiency. It is lightweight and compact, which makes it highly portable. It is made of steel, which is not only stainless but also sturdy for durability. The ice maker may experience technical issues like always reading full after just a few months of use. This portable ice maker features an over-sized ice bucket, so you don't have to empty it every now and then. It is made of stainless steel, which is strong for durability. It makes 26 lbs of ice in 24 hours and will store up to 2.2. lbs in each round. The ice should be ready in just 6 minutes. The ice cubes made with this machine come in three sizes: small, medium, and large. It operates at 120 volts for efficient ice making. It is available in silver, which gives your kitchen space an epicurean style. The ice cubes made are smooth and perfectly shaped. You can make small, medium, or large-sized ice cubes for your convenience. It is available at an affordable price for its quality. Some users argue that this ice maker is a little unreliable as it may stop working after just a few uses. Some users say that after prolonged use of this machine, it began heating the water rather than freezing it. This countertop portable ice maker is automatic. This means that you can keep partying with your friends as it continues to produce all the ice you need to keep the party going. Within 24 hours, the machine is capable of making up to 26 lbs of ice. The ice cubes made come in two selectable sizes: small or large. It also comes with a large bin that stores about 1.5 lbs. The ice will be ready within 8 to 10 minutes. The water reservoir has a capacity of 2.3 quarts. Once it is empty, the machine will notify you using red indicators. It has easy-touch buttons that make it highly operable. The machine is made of stainless steel, which enhances its longevity. It has light-up alerts that tell you when to refill the water reservoir and when to empty the ice storage bin. The tray is removable, so you can easily remove the ice. Its design is sleek and the performance is on another level. The drain valve may break after a few uses, requiring more money for repair. This might just be the most reliable and efficient portable ice maker in the market. Its ice storage bin can hold up to 3 lbs in every round! The machine produces up to 1 lbs of ice per hour. It will take the machine around 15 minutes to make the first ice nuggets. It is super affordable for its value. You can plug it into any electrical outlet. Some users feel that 15 minutes of ice making is a little too much. Other users argue that the ice maker is too noisy for indoor use. How does the water for ice making get into the machine? Ice makers come with a reservoir in which you put the water before turning on the machine. Does the tray automatically drop the ice into the storage unit once done? When the water is ready for ice making, you will turn on the machine. Once the ice making process is complete, the tray will drop all the ice into the storage compartment ready for the next round. Will the ice made stay frozen for days while in the machine? No, it won't. However, the machine will keep recycling the water after the ice melts and remake the ice for your use. This way, you will always have frozen ice in the bin. What do I do if the water is not draining from the back of the machine? You should unhook the tubes that drain the water and tilt the machine so all the water comes out. Then you can put back the tube. Should I put distilled or tap water into the reservoir? This is your choice. You can opt for tap water or distilled water based on your taste. Just as the name suggests, this ice maker machine is highly portable. Portability means you can use the machine wherever you want. If you are going for a picnic, camping, boating or just throwing a party outside, this little machine will come in handy. It is compact and lightweight for ease of transport and storage. Ice makers are fast and reliable. Unlike a freezer, you don't have to leave an ice maker for hours before you can get your ice. All you do is fill the reservoir with the correct amount of water, turn the machine on, and your ice will be ready in 6 to 12 hours. Unlike the complex machines, portable ice makers are easy to clean. You only need to wipe them dry after use. You could also run lime or vinegar through the machine to remove stuck dirt as well as smell. The portable ice maker is also great at conserving resources because it recycles the water from the melting ice. So, if you leave some ice cubes in the bin, you don't have to worry about adding more water to the reservoir. Just like any other product, portable ice makers come with their share of drawbacks. One of them is that they are not reliable for large production of ice. This is because their production capacity is much smaller, with most models producing between 24 and 30 lbs. You also need to keep adding water to the reservoir of the machine to keep producing the ice. Always ensure that you use clean water in the ice makers. Drain vinegar or lemon juice into the machine often when cleaning. Always unplug the cord if you're not making any ice. Portable ice makers are small machines that are simple to operate. After acquiring one, you won't even need instructions to operate it. They are handy, convenient, and highly efficient. What are your thoughts about this article? Do you have your own experience and life-hacks? Please, share your comments or questions with us. I have a question, can this ice maker work from the battery of my car? Or they work only from their own? And if we allow it to be discharged? I'm interested in the HomeLabs brand. I heard that this brand shows itself well. We gather in hot weather and go to the river with friends. There is not enough ice in the beer!